Any Body Positivity in Japan? In Japan, Body Positivity is yet to be recognized. In fact, it is very much the opposite. The body standards in Japan are ridiculous. It makes me wonder how many girls there are, not just those aspiring to become models, but regular girls who are hurting themselves just to obtain their “ideal” body sizes and without thinking about it. The models needed and active in the country definitely play a big part. Just as in most other countries, nationally famed models here in Japan are all really slim. They are featured on covers of magazines and ads, including those that might be seen to be telling other girls to be slim and beautiful. This isn’t anything new. However, I believe that another part of the influence of it is the subculture that is more unique to Japan. Anime and manga often feature girls with body shapes that are simply unrealistic and unobtainable. Super slim bodies with massive breasts. They are quite inhuman. While I believe that girls are not looking at those designed to target a male audience and use them as models, hopefully because they understand how unrealistic they are, they do set a ridiculous mindset in the minds of males and add to the idea that female body standards are important. "Screenshot taken from @bodypositivityjapan on Instagram, more about her account later." Westerners’ body shapes are sometimes quite different from Asians, so immediately they are targeted and seen as something “extraordinary” here in Japan. Body sizes, breast sizes, height, skin color, the list goes on and on, and the social standards make these “different” looks feel… well, different. Not just different, but unnecessarily different to the point that invites unwanted judgment. A friend of a friend of mine who has been working in Japan shared the story with me about how she, being a Caucasian lady that would be considered “average and more on the slim side” back home was told here that she is fat. 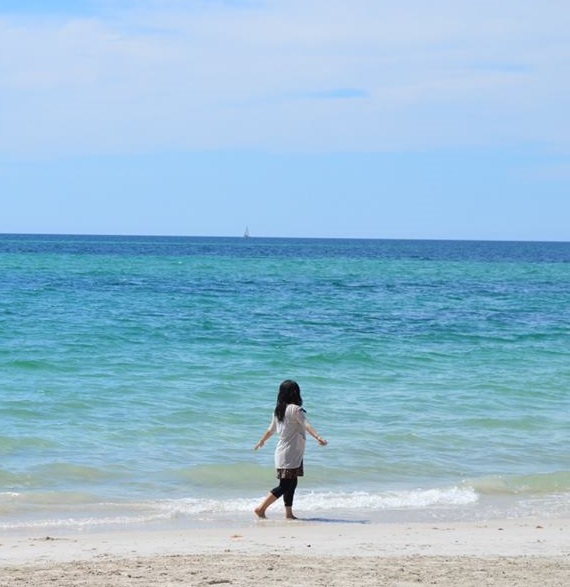 During her first week working at a school, one of the teachers actually went up to her for a chat and in the middle of the conversation said that she was chubby and that she needed to go on a diet. I cannot think of any interaction in which this could be seen as respectful, let alone with someone you hardly know at work. That other teacher probably said it thinking it was a harmless and playful comment, which only displays the lack of acceptance the society has for other body shapes and can openly make light of it. There have been some changes recently, however. Cosmopolitan Japan recently ran a photoshoot of plus sized models, and there is going to be a Plus Sized fashion show happening in Tokyo in October (possibly done by the time this post goes up). Although extremely slow and facing a lot of resistance, some people are trying to create changes. A very good friend of mine started an Instagram account to spread the mindset of body positivity and acceptance as well. 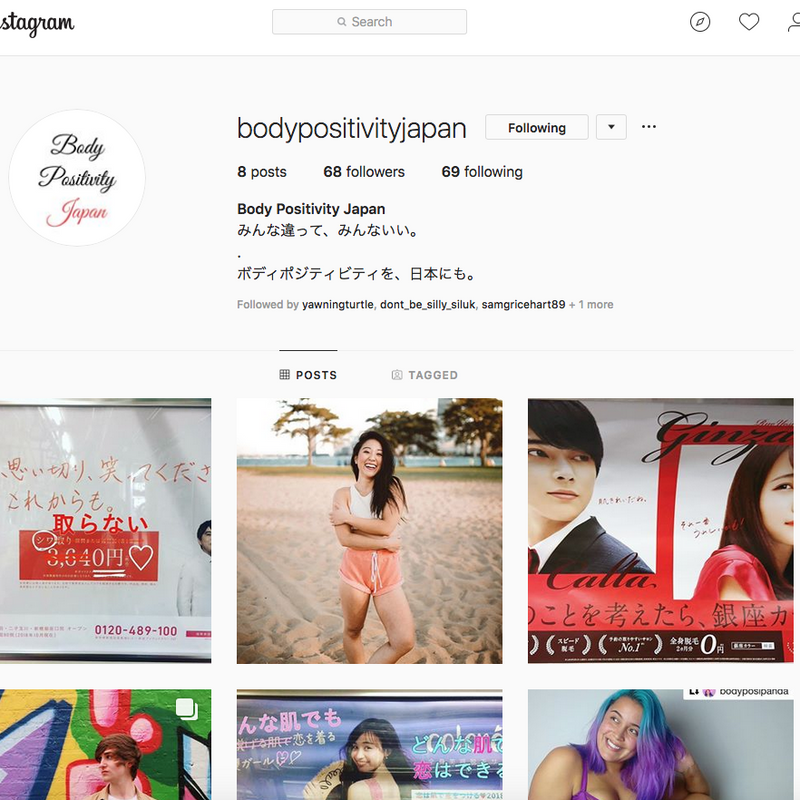 Under the name BodyPositivityJapan, still a very new account, she promotes some of her heroes and heroines who she respects in the (typically Western) body positivity community. 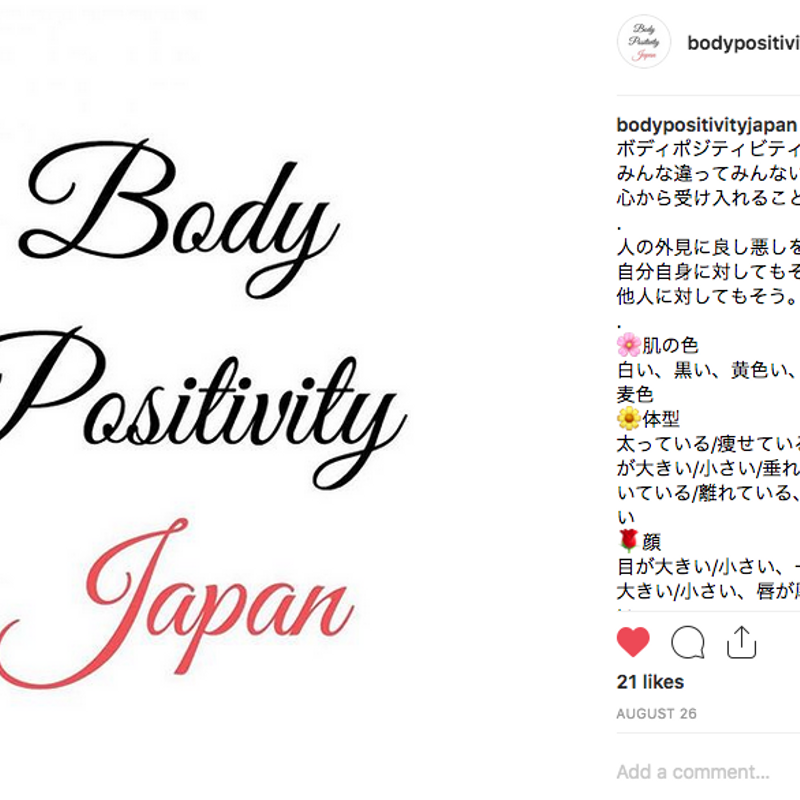 The posts are written in Japanese so the local audience who find the post using hashtags can understand that their body shape, no matter what it looks like, is and should be accepted and embraced by themselves and by others. Another focus of the same Instagram account examines the brainwashing advertisements in Japan that often tell people (typically girls) that they need to 'do this and do that' just to stay pretty and slim. Diet, shaving, surgeries… the ads are straight up devaluing girls on purpose just to make them fearful of what they currently look like, and BodyPositivityJapan also discusses those ads that does harm for the purpose of business. Personally, I really respect what my friend is trying to do with the account. There really is little to no positivity in how people in Japan view body shapes. Shame is thrown around everywhere and stuck onto each other. It is an unheard voice, one that is not telling people to be big or small, but simply accepting. Hopefully her account can help spread the word so society can be more accepting rather than judgmental of people based on their appearances. If you would like to follow that account, I have included the link to her account below. It may be in Japanese, but she is fluent in English too, and every bit of support is appreciated by her and the entire community.